World-renowned physicist Dr. Stephen Hawking died at his home in Cambridge in the early hours of Wednesday, he was 76. His family released a statement in the early hours of Wednesday morning confirming his death at his home in Cambridge. 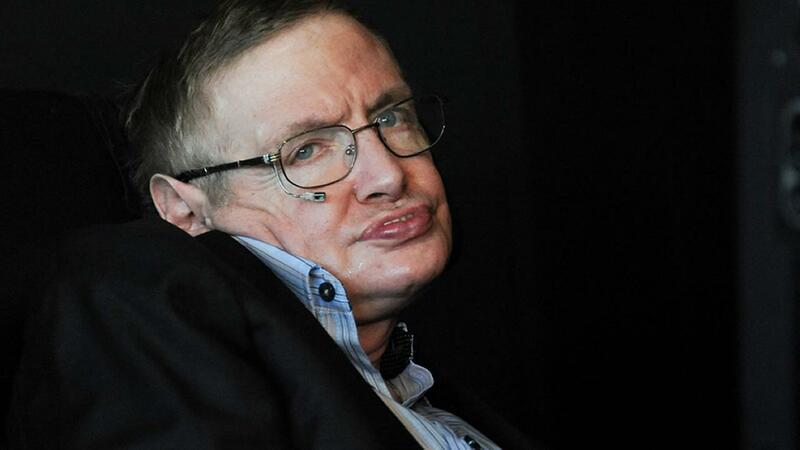 In the year 1963, at the age of 22, Dr. Hawking was given only a few years to live after being diagnosed with a rare form of motor-neuron disease - amyotrophic lateral sclerosis (ALS) - that gradually paralyzed him over the decades. Hawking’s children, Lucy, Robert, and Tim said in an official statement released after his death: "We have deeply saddened that our beloved father passed away today." "He was a great scientist and an extraordinary man whose work and legacy will live on for many years. His courage and persistence with his brilliance and humor inspired people across the world." "He once said: ‘It would not be much of a universe if it wasn’t home to the people you love.’ We will miss him forever." Dr. Hawkings was born on January 8, 1942 - 300 years to the day after the death of the father of modern science, Galileo Galile and his death was announced on the 139th anniversary of the birth of Albert Einstein. He was known for his work with black holes and relativity, and wrote several popular science books including - "A Brief History of Time", which has sold more than 10 million copies worldwide. The book was British Sunday Times best-seller list for 237 weeks. He earned a place at Oxford University to read natural science in 1959, before studying for his Ph.D. at Cambridge. He became one of the youngest fellows of Britain's most prestigious scientific body, the Royal Society, at the age of 32. In the year 1974, he outlined his theory that black holes emit "Hawking radiation". In 1979, he became the Lucasian Professor of Mathematics at the Cambridge - a post once held by Sir Isaac Newton. In the late 1990s, he was reportedly offered a knighthood, but 10 years later revealed he had turned it down over issues with the government's funding for science. 2. "It would not be much of a universe if it wasn't home to the people you love." 3. "We are just an advanced breed of monkeys on a minor planet of a very average star. But we can understand the Universe. That makes us something very special." 4. "You were supposed to be either brilliant without effort, or accept your limitations"
5. "I am just a child who has never grown up. I still keep asking these 'how' and 'why' questions. Occasionally, I find an answer." 6. "Imaginary time is a new dimension, at right angles to ordinary, real time." 7. "One cannot really argue with a mathematical theorem." 8. "The past, like the future, is indefinite and exists only as a spectrum of possibilities." 9. "When one's expectations are reduced to zero, one really appreciates everything one does have." 10. "Women. They are a complete mystery."